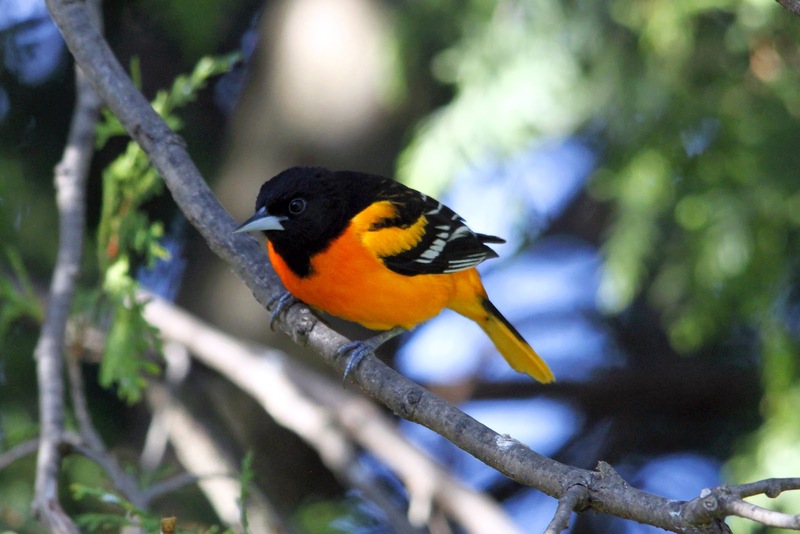 I don't remember where I saw my first Baltimore Oriole, but I remember the first time one landed in our yard, because it rendered me speechless, and that doesn't happen often. Five years ago I decided I was going to attract these flying fire balls to our yard. We got the right feeder with some help from our friends at Wild Birds Unlimited and set to work. Some orange halves, grape jelly and some patience was all it took. 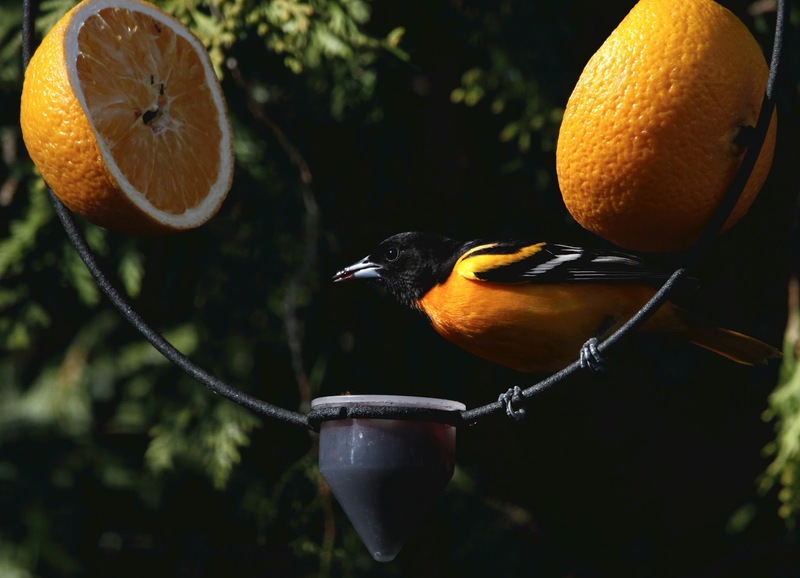 For two summers a pair of Baltimore Orioles would stop in the yard for a week or two, eat our offerings and move along, and then do the same on the way back through in the fall. Three years ago they stayed all summer! Knowing they had it good here, with food, shelter and water, they nested close by and were in our yard constantly. At one point last year we had 8 of these beauties flying around the yard. I'm happy to say they've returned again for another season, and we believe there are 2 -3 couples close by. Our yard is going to be a busy one this summer.